Cochem is a district in Rhineland palatine region, Germany. 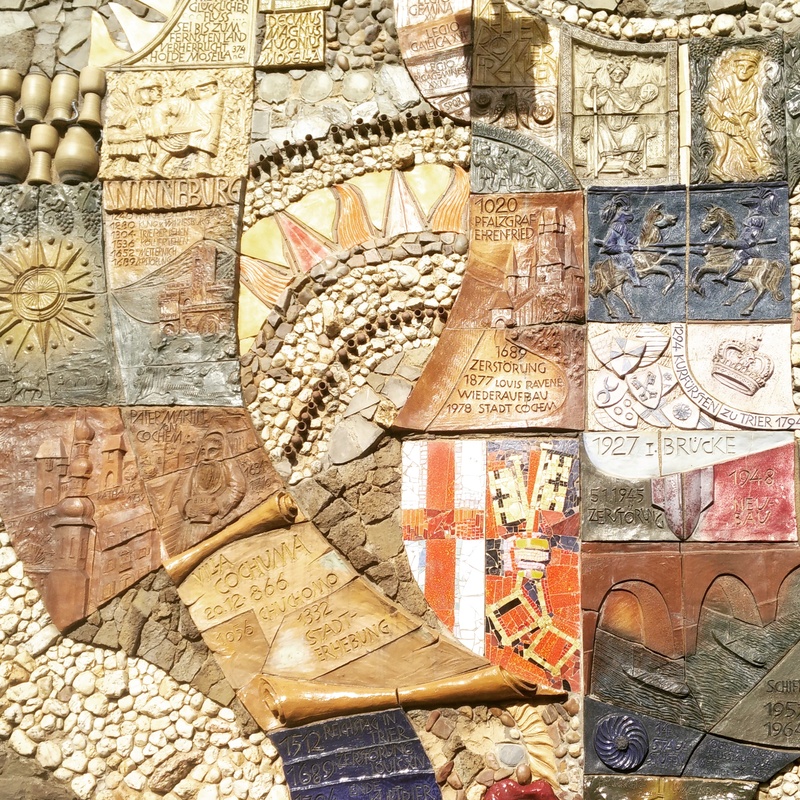 The history and tradition of this place is artistically collaged on the wall, in city centre. Different materials are used in one collage.